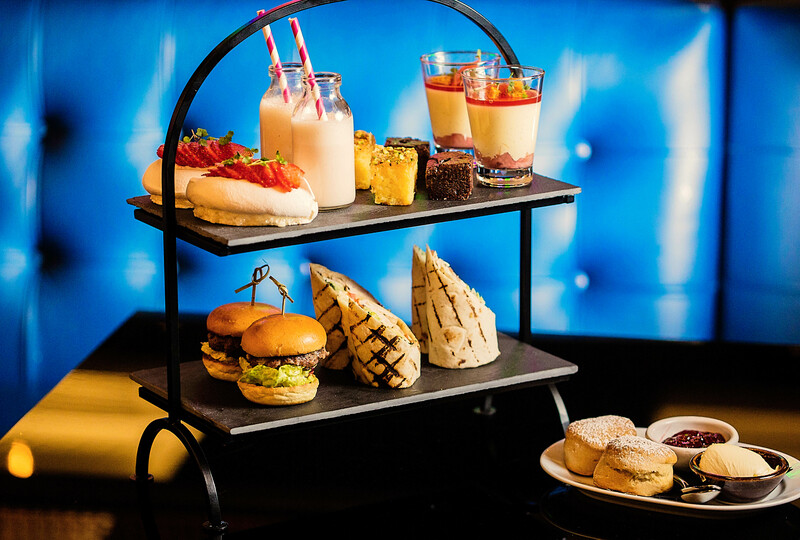 If you think of afternoon tea as finger sandwiches and a cup of Earl Grey then think again because Malmaison Birmingham has turned one of Britain’s favourite pastimes on its head. Malmaison’s all new Afternoon Tea brings the personality back into this tradition, with a menu packed-full of delicacies and delights. Start your journey with the savoury offering, which includes hot smoked salmon and crème fraiche wraps, chipotle chicken and avocado wraps, and mini beef burgers. Follow this with sweet treats including a strawberry and vanilla pavlova, salted chocolate brownie, lemon and polenta cake, and a quintessentially British rhubarb and custard trifle. If that wasn’t enough, there are also traditional fruit scones served up with jam and cream. With all of this delicious food, you’ll need something to wash it down and if the strawberry milkshake isn’t enough, you can opt for one of Mal’s signature cocktails. The Orange Brûlée brings Disaronno, Cointreau and Grand Marnier, together with Hennessy VS topped with cream and chocolate dust. If you are a fan of Tia Maria or Licor 43 try the Nutty 43, which mixes both spirits with Frangelico and cream for a mouth-watering treat. Malmaison’s famed espresso martini also features with the addition of Patron XO Café, creating the Patron Espresso Martini, which sees the coffee-flavoured tequila mixed with Absolut original, espresso and sugar syrup for a cocktail with a kick. If gin is more your thing, opt for the Hendrick’s G&Tea, which includes Hendricks gin, St-Germain elderflower liqueur, blackberry and elderflower tea syrup, lemon juice and tonic. The Afternoon Tea costs just £17.50, which includes the full savoury and sweet menu, a strawberry milkshake and choice of speciality teas. You can also upgrade your experience to the Champagne Afternoon Tea; for £25 you will also enjoy a glass of Mumm NV Champagne or for £27 you’ll receive Mumm Rose Champagne. If cocktails are more your thing, the Cocktail Afternoon Tea includes an Orange Brûlée, Nutty 43, Patron Espresso Martini or Hendrick’s G&Tea with your food, for just £25. If time isn’t on your side, there’s also a Classic Cream Tea available for £10, wich includes fruit and plain scones, clotted cream, strawberry jam, lemon and polenta cake, salted chocolate brownie and your choice of teas. Whatever the occasion, the Malmaison Afternoon Tea is the perfect way to celebrate. Book your place by calling 0121 794 3004.